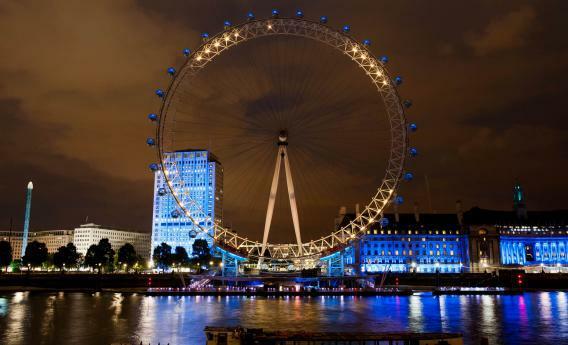 London Eye Twitter: A social-media campaign has transformed the English landmark into an Olympic-sized mood ring. The London Eye’s Twitter-fueled Olympics light show. How does it know what tweets are positive? According to the Telegraph, the algorithm checks the tweets against a library of some 2,750 words and phrases, including emoticons and non-standard English expressions like “omg” and, uh, “totes amazeballs.” Punctuation marks and intensifiers like “very” get factored in as well. “I bet the sentiment analysis for the ‘London Eye Twitter lightshow’ is REALLY GOOD at detecting sarcasm,” one wag tweeted.